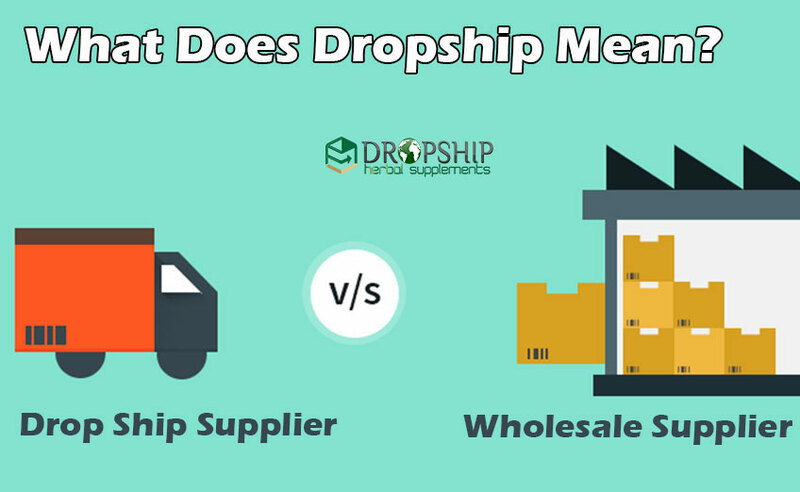 What Does Dropship Mean and Difference Between Dropship and Wholesale Suppliers? 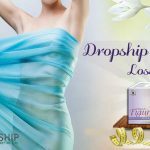 Dropship, a word that is very much new to many of us, but it is not so. From several years we have been dealing with many dropshippers and are unaware of it. 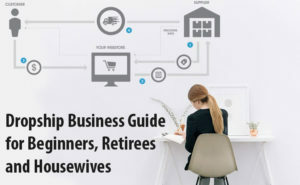 If you are planning to start a new business and are not acquainted with the initial steps or are confused about acquiring the products, then there are two great options you can try your hand on. These are wholesale and dropship. Let us understand these two methods to think about which route to choose further. Dropshipping is the most widely used business model today. Dropship means delivering a product to a customer or retailer without physically seeing or shipping. The product you offer is directly delivered by manufacturers to the customers. You do not have to worry about keeping the stock or inventory. You can sell various products without any hassle. This is why the dropship business model is captivating everyone’s mind nowadays. In wholesale business, you have to buy the stock in a bulk amount from the manufacturer, thereby owning it. You get these goods at a discount rate due to buying plenty of goods and further selling it to the customer at higher rates. Physically dealing with products makes it less risky because you are very well aware of the products and its quality. Secondly, mostly wholesale suppliers are interested in buying the recognized brands of the market as no one would take the risk to buy an unknown brand inventory and bear a loss. Apart from this, many a times, manufacturers don’t feel like dealing with small companies. So, they sell the goods in bulk amount to wholesalers who then organize dropship programs to let the retailers benefit the dropship facility. Whereas, in the dropship business model, a dropshipper sells the products that are not his own. It’s just a fulfilling business. This business can be done at home and required not much investment. Mostly these kinds of business deal online with the customers. Dropshipper creates a company without owning any inventory and takes orders for the various products. He forwards the order to the manufacturer who offers dropshipping and then the manufacturer ships the product to the customers on behalf of his company. A dropshipper gains the profit according to how much he is charged for the products and at how much price he sells them. With this business model, one won’t have to manage the inventory and he can add more and more products to his business. It is easy to get confused with these two terms. So, let us go ahead with directly comparing them. This will let you know the differences between dropship and wholesale business. The difference between dropship business model and wholesale business is that in dropshipping you don’t have to buy inventory up front and face the loss if it doesn’t sell out. While the wholesalers have to buy the stock in advance and need a suitable place to arrange them with a risk of getting not sold. Moreover, dropshippers have fewer profit margins as compared to wholesale suppliers. Wholesalers get the inventory at discount prices and sell them at higher rates gaining a good profit margin. At the other hand, dropshippers can make mostly up to 30% profit margin. This states that a dropshipper has to sell a larger unit of products to make a good profit. Even after knowing each of the difference between dropship and wholesale business models closely, there are still some advantages and disadvantages they possess. There is nothing in the world that doesn’t have any pros and cons. We have gathered up all the merits and demerits for both the business models to give you a clearer view. The difference between dropship and wholesale business will be clear to you by the following points. Dropship business model doesn’t require a large amount of capital to start the business or to stock up the products. You only have to buy a product when there is any order placed by the customer. You don’t have to buy a product from your pocket as the payment is already made by the customer. Hence, it is a low risk and no loss business. They can easily start an e-commerce business. A person doing this business never has to see or handle the product. He never has to manage the stock or never have to pay for the place to store the inventory. He is away from the hassle of shipping and packing the orders. When there is no need of managing the products it becomes way easier to add or change up the products you offer. You can acquire the products from all over the world and supply them elsewhere depending on the demand. Generally in a business, as much as it grows, workload grows too. But here in dropshipping everything is done by the suppliers. They have to bear the load of growing sales. It doesn’t need a proper place to get started. It just needs an internet connection and a laptop. You can operate the business from your home or anywhere else. You only need is the communication facility with your customers and suppliers. Due to its easy access and low investment qualities, every other person has started his own business thereby creating a hard competition. Increasing competition in the dropshipping market is a very big demerit for setting your margins too. The other competitors have the poor quality of products or unsatisfying services. If they have low prices, it will surely affect you in a bad way. Apart from this, if you are not buying the stock in bulk then the owner won’t sell you their products in discount rates, making it difficult for you to gain profit. As we discussed earlier, the dropshippers don’t own the stock, which is why they don’t have the track of the products’ availability. Therefore, it may be a hurdle in fulfilling the customer’s demand on time. If customers order two different products from two different owners, the shipping charges will be double to you but you can’t charge your customers that much amount. You only have to bear the extra charges, which is indeed a loss. If the product delivered to your customer does not satisfy them, the blame is all on you. It can damage your built reputation if you are dealing with low-quality product owners. Wholesale suppliers usually deal with the well-established products, thereby reducing the risk of quality issues. They can buy inventory in bulk amount without any second thought. Margins are good in wholesale business as they are offered with a heavy discount on the stock they buy. Buying the stock in bulk will make you gain 50% of profit margins. Dealing with different products will make you deal with different suppliers. The more you are in touch with different suppliers, the more beneficial it is. It will be easy to access discounts and products if you are having a good network and reputation. Doing business with different products and number of suppliers will build up your knowledge regarding the market and the products. You may compare them and understand the workings. This counts as a plus point for wholesale suppliers. As their brands are already popular among the buyers, it automatically reflects their business growth. Wholesale suppliers do business with the already established and branded products. Therefore, there are many other wholesale suppliers out there dealing with the same branded products as you are. This may affect your business growth. Selling the branded products can be the biggest disadvantage too. This is because the well-established companies have their own rules for selling their products. They may bind your ability to price the product or offering discounts on their brands. Many times the suppliers sell you their product only if you order the minimum quantity they ask for. So, you have to agree on their condition and buy the minimum order and manage them further. Dealing with different suppliers is a hectic job. You have to agree with distinct demands of each one of them. As much the products you are dealing with, the more you have to deal with their owners’ demands. Which Route to go for? Now, after knowing the difference between dropship and wholesale business, it clearly makes us understand that if we are new to the business and do not have much knowledge about the industry we should not get into the wholesale business that earlier. 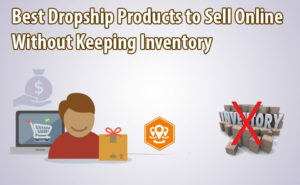 Difference between dropship and wholesale business states that although there is a little risk in becoming a dropshipper you won’t face any significant loss of money. It will not ask for any investment too. 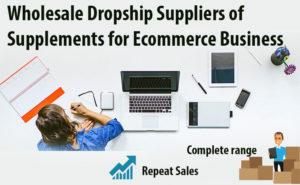 So, dropship business model is the most advanced and superior way to start a business with little investment and without hassle of managing inventory. Do a little market research and you will be ready to jump into the business as a dropshipper. You may then go for wholesale if you become familiar with the market scenario. Finding a certified and genuine dropshipping company is quite difficult. 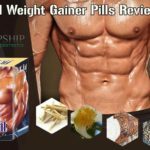 If you are looking for such a company then DropshipHerbalSupplements.com is the best dropshipping company of herbal supplements and ayurvedic products. We offer you quality products and help you to quickly source the selection of products. As we deal with herbal products, you won’t have to face difficulty in marketing due to growing craze of natural products. You can contact us for products’ details. We will keep you updated about the prices and the inventory to keep you away from the hassle of disappointing the customers. 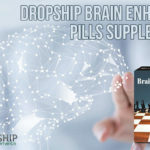 Use DropshipHerbalSupplements.com and acquire the products of your choice. We are the most efficient and trustworthy company of herbal supplements of ayurvedic products. Work freely with us and be a successful business person.